Mobile devices revolutionized the web, and Comrade Web Agency is there to help you target the ever-increasing base of Internet users. 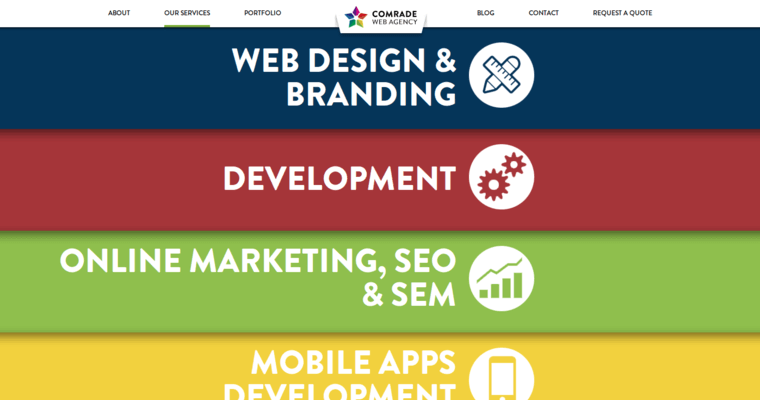 With a Comrade Web Agency website by your side, you'll be able to reach out to potential clients and customers in an effective manner. Any online effort starts with a high-quality website. Whether you're looking to take advantage of social media, eCommerce or Internet marketing, your website will serve as the centerpiece. 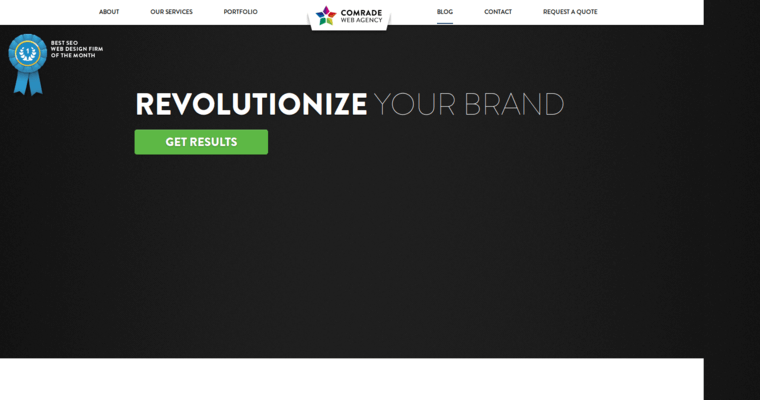 Comrade Web Agency has the talent and expertise needed to give you a website that will stand out and demand attention. Their websites are designed to last, and your website's codebase will be able to adapt easily to new ideas. The modern web looks significantly different from the web we used only five years ago, and modern design sensibilities have changed considerably. 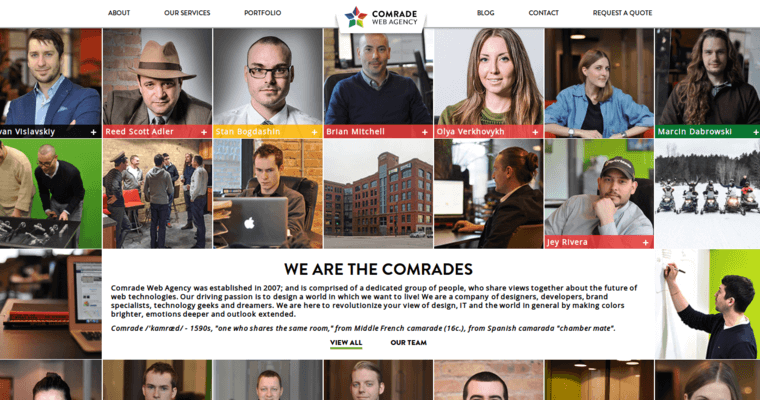 Your Comrade Web Agency website will remain a firm cornerstone of your online efforts.